These words were written (in Japanese) by the Founder of Aikido, whom we call O’Sensei (great teacher), in his 1938 training manual entitled, Budo. Aikido is a Japanese martial art or budo (martial way of life) developed in the first half of the 20th century by O’Sensei and his son, Kisshomaru Ueshiba. Aikido translates from the Japanese as “a way of life in harmony with the spirit.” As the name implies, the primary aim of practicing Aikido is not to prepare for combat – although with years of practice it is an effective self-defense system – but rather to foster physical, emotional and spiritual development. The non-violent self-defense philosophy of Aikido is to subdue an attacker without intentionally causing injury. Aikido training is mainly comprised of partner practice, in which one partner is in the role of the “attacker” and the other in the role of “defender.” As the attack (i.e., a grab, strike or kick) is launched, the defender moves to a position of safety, blends with the momentum of the attack unbalances the attacker (often in circular fashion), and ends the interaction with a lock or throw. As students become more adept in the art, this process takes on the speed and force of real attacks, creating a cauldron of controlled hand-to-hand combat. In order to practice safely each practitioner must also gain skill in the art of ukemi (taking the fall; see photo) to perform the attacker role. As O’Sensei’s quote (above) indicates, Aikido has from its inception been about personal transformation and not about fighting. A student in our dojo (i.e., training hall) with only four months of experience recently wrote: “…I was expecting to learn some self-defense techniques, however what I have happily stumbled upon is increased focus, mental clarity, confidence… “ So, how does this physical activity facilitate these important mental qualities and more? Learning Aikido is very challenging. Unlike most other martial arts, most of the movements and techniques in Aikido are counter-intuitive. For the vast majority of novice students, regardless of their athletic ability, there is an awkward period in which performing techniques even close to correctly is beyond them – a humbling experience. But, as an early-stage student begins to develop both defensive techniques and the necessary tumbling skills, confidence grows. Achieving the movement and timing necessary to perform a complex technique successfully requires intense focus and mental clarity, and these mental qualities are reinforced dozens of times in a single class. As students progress beyond the early awkward stage, they are exposed periodically to multiple attack scenarios. Anywhere from two to five attackers, depending on the experience of the student, launch their attack one after the other in rapid succession. This training provides opportunities to develop poise under pressure and to respond to each attack with intentional focus before going on to the next. Also, students are taught to choose and approach the next attacker, rather than waiting for the attack – clearly a metaphor for assertiveness. Aikido is non-competitive, which is an important aspect of the art as a tool of personal development. In mainstream Aikido there are no tournaments and no champions or losers. On the surface of it we train to develop self-defense skill, not to compete with or defeat others. This characteristic of Aikido creates an atmosphere of cooperation and harmony on the training mat – even in the context of throwing each other around – rather than an ego-promoting sense of competing with each other. In my 30 years of teaching Aikido, I have had the pleasure of witnessing personal growth in my students – some more, some less. I recall Carl, a man in his early 40’s with a very shy and timid personality. Over the four years that Carl trained, he transformed to a much more self-confident, even assertive, individual both on and off the mat. Carl’s transformation is not unique, albeit perhaps more dramatic than most, given his starting point. 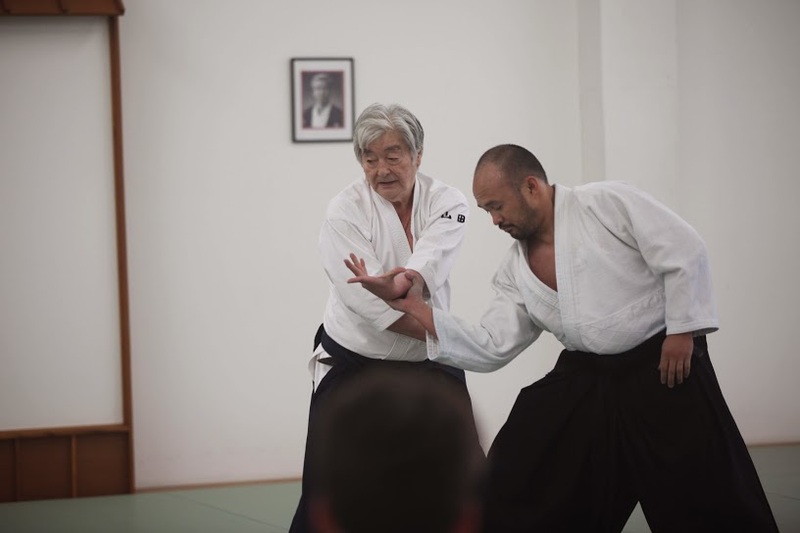 But, when students continue their practice for years or decades, they almost universally describe elements of their personal development related to their Aikido training.